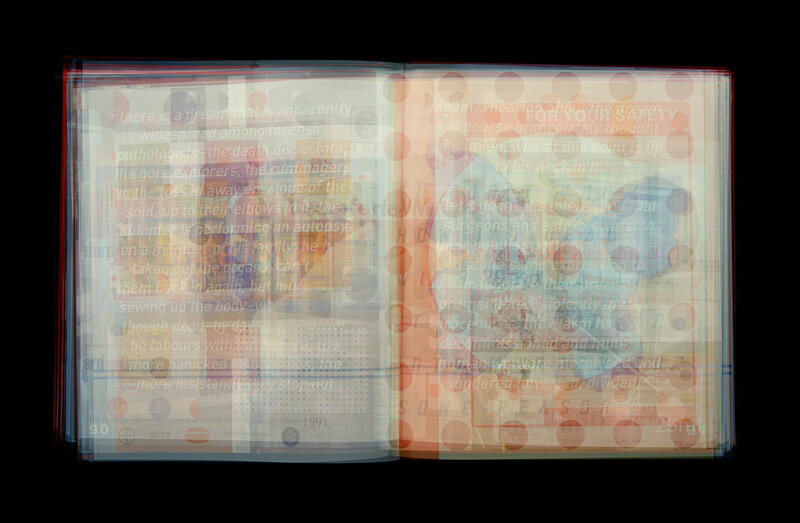 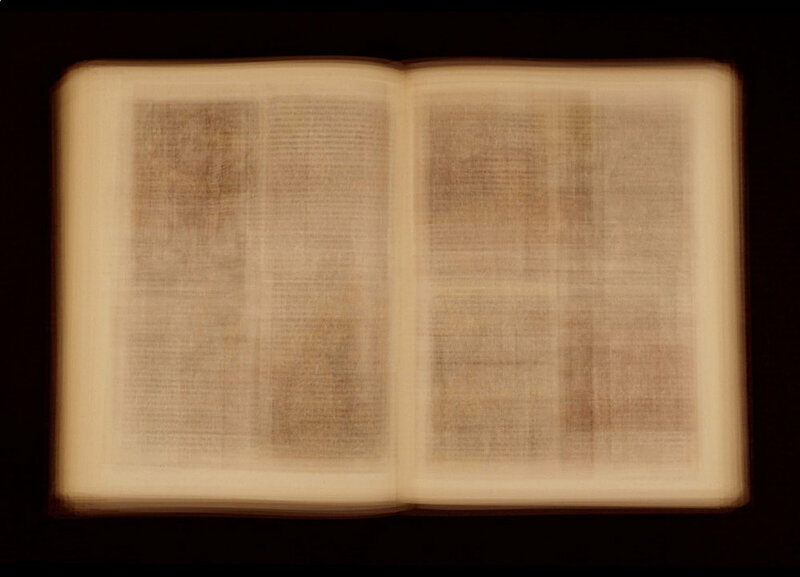 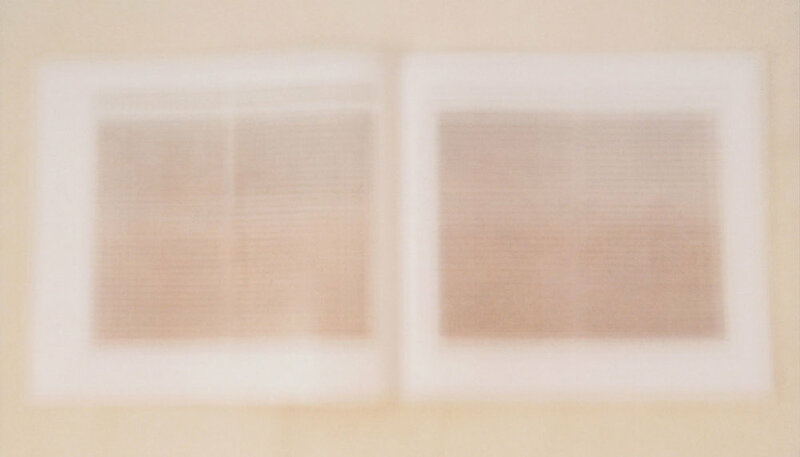 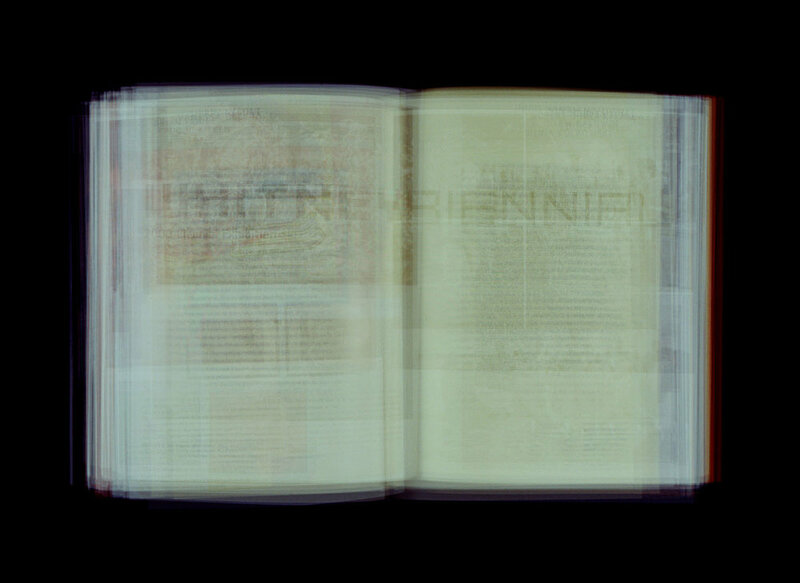 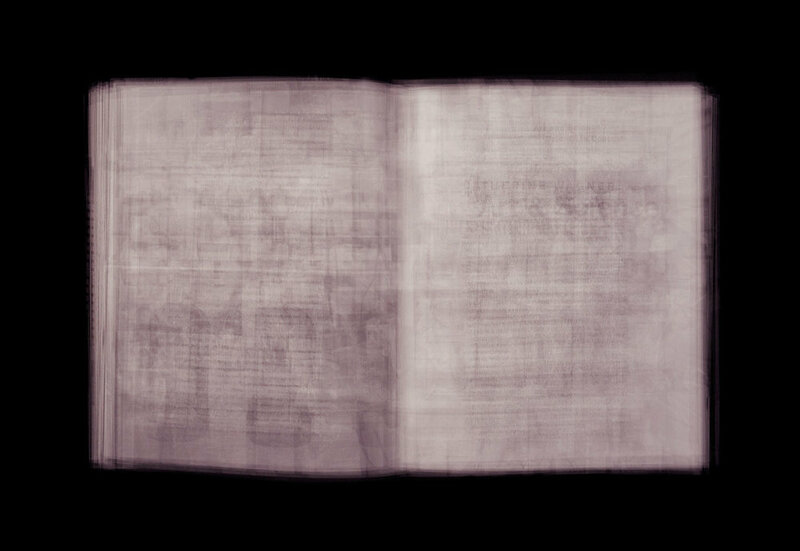 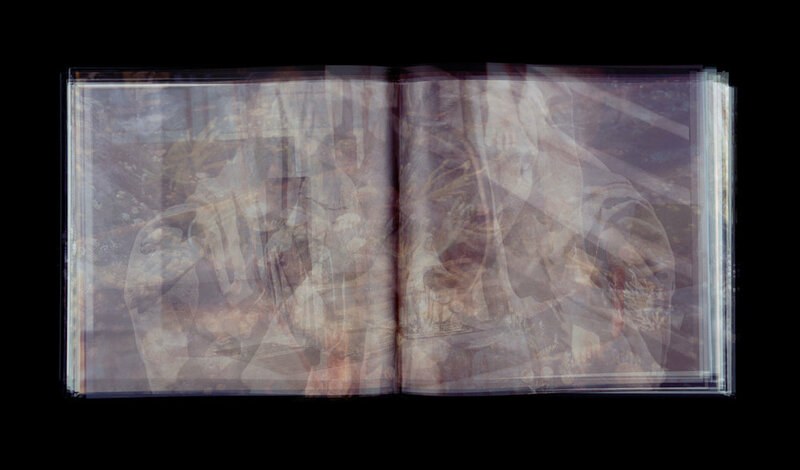 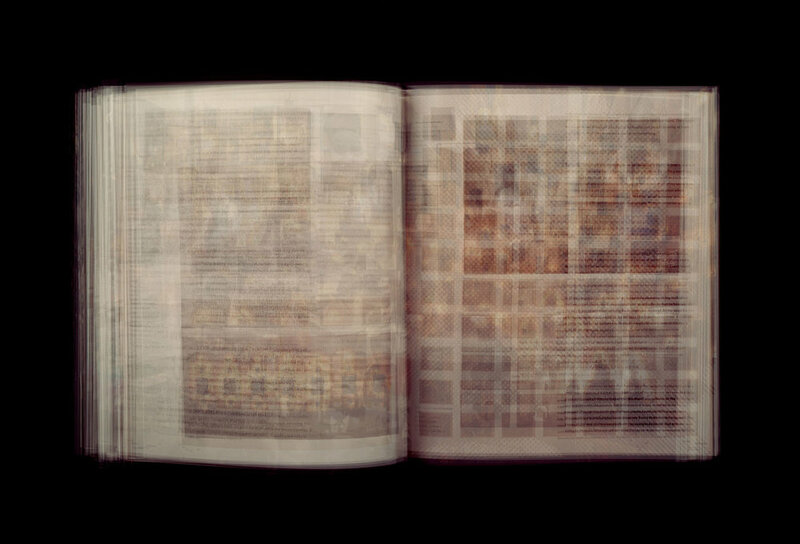 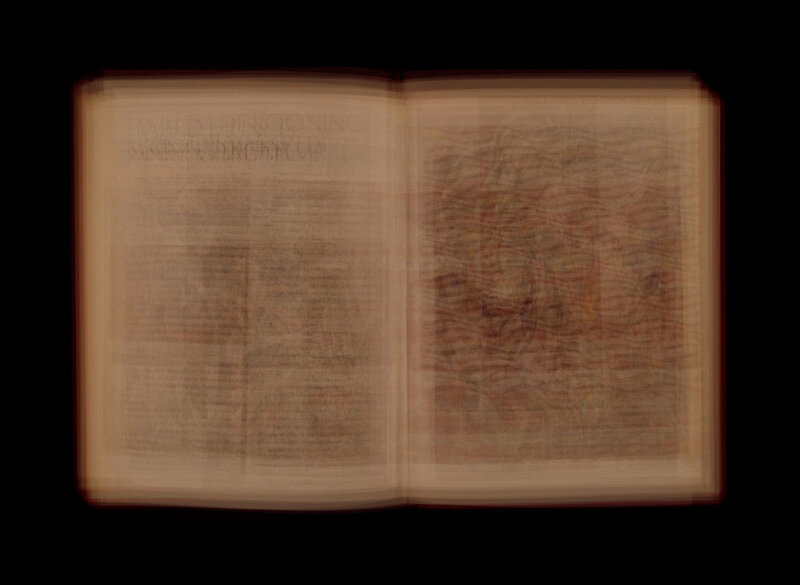 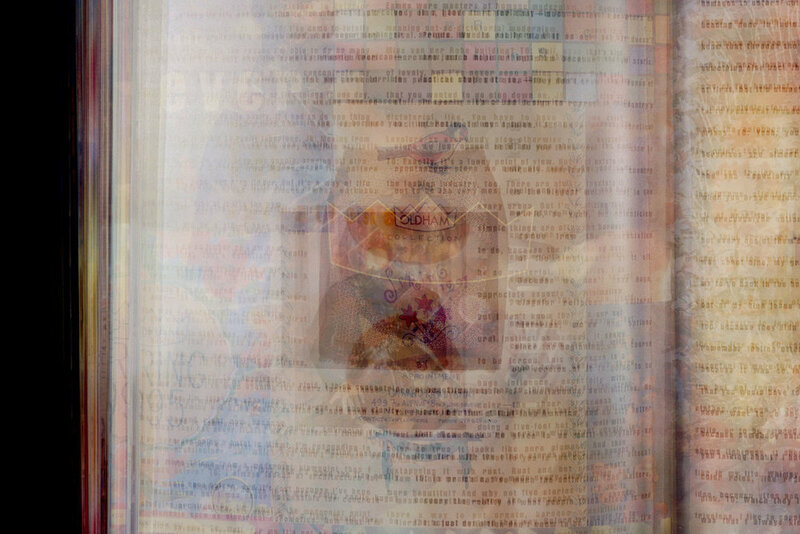 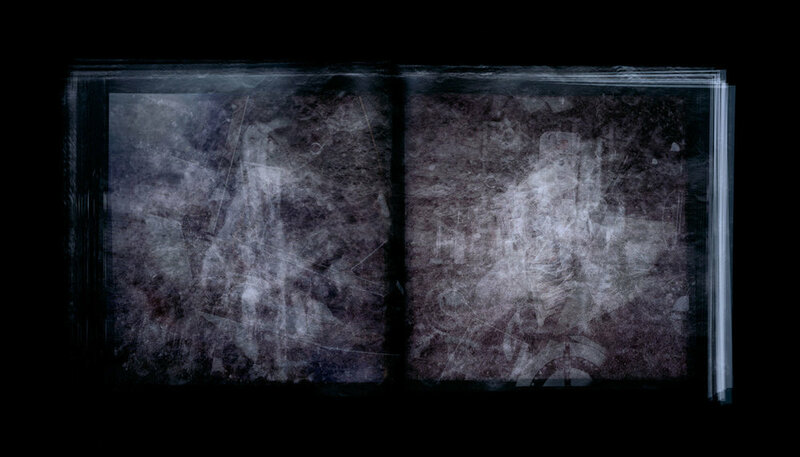 Collective Memory is a provocative series of photographs, in which Keyes condenses the content of an entire book into one photograph, through the multiple exposure of the book’s pages onto a single sheet of film. 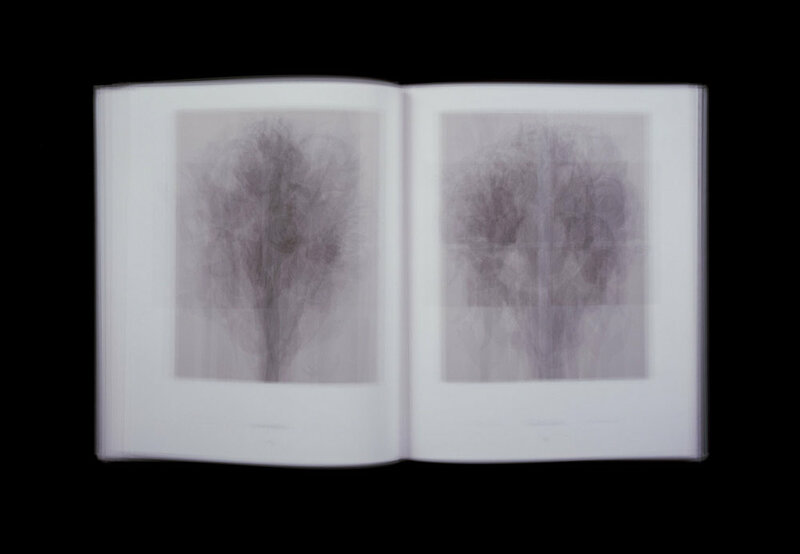 The resulting layered image, re-presented at the same size as the original book, provides a wonderful symphony of colour and texture, of opaque pages rendered transparent and which conceal as much as they reveal. 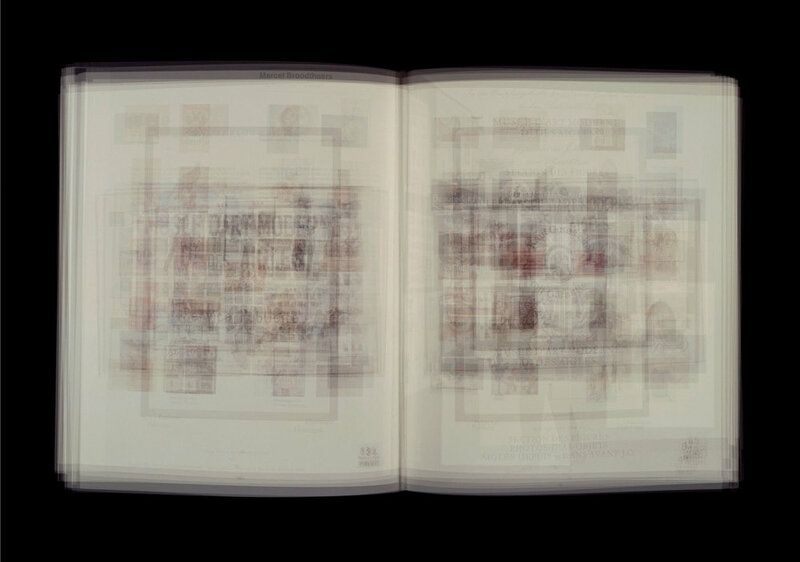 Iconic, and sometimes obscure, Keyes' subjects range from Dr. Seuss’s The Cat in the Hat Comes Back to The Holy Bible to Damien Hirst’s I Want to Spend the Rest of My Life. 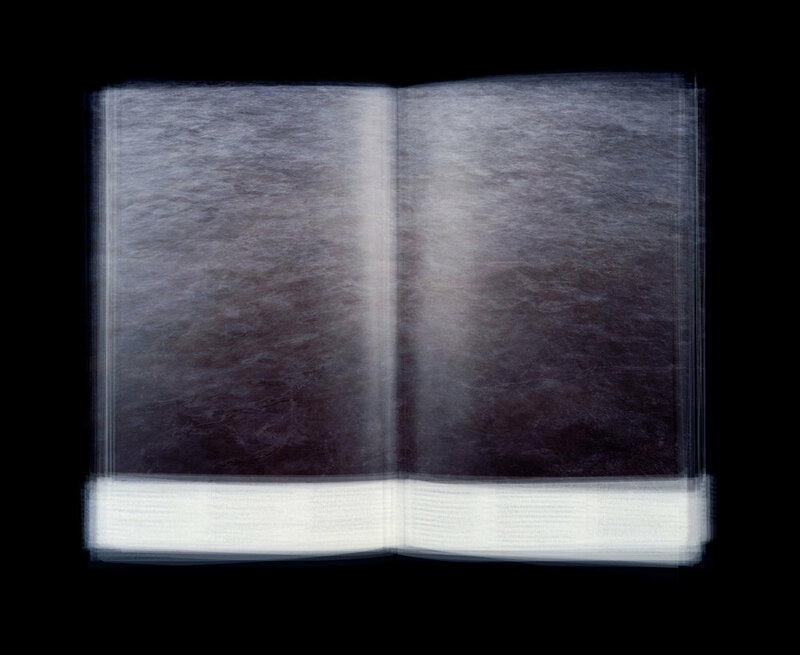 These luminous photographs suggest a visualisation of knowledge stacking up over time, as well as evoking the experience of engaging with the book itself. 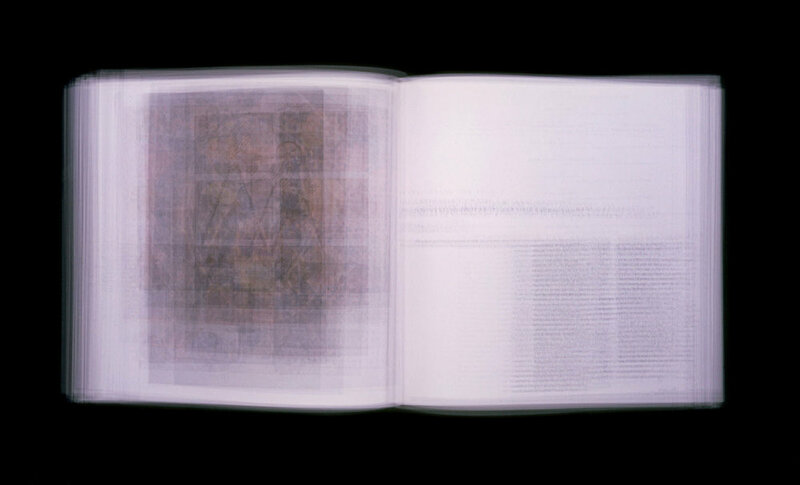 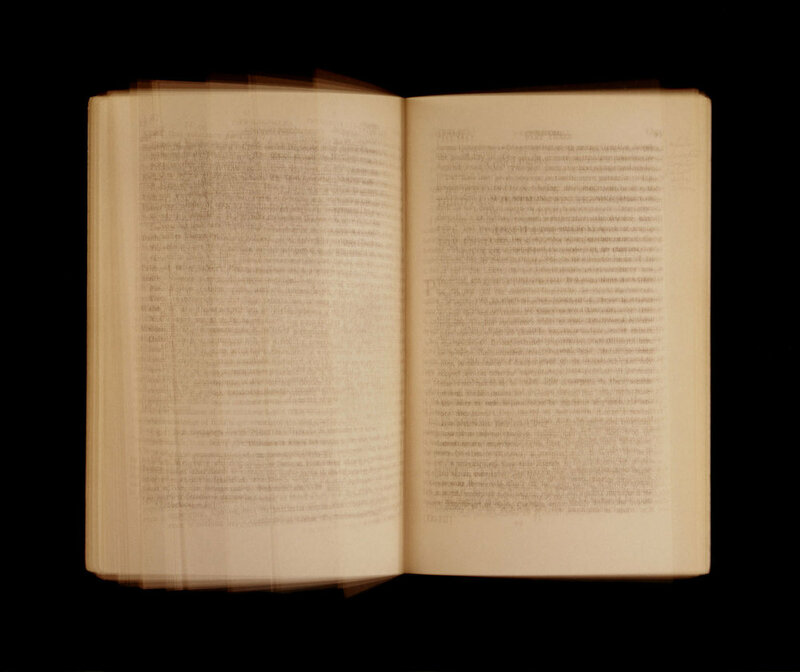 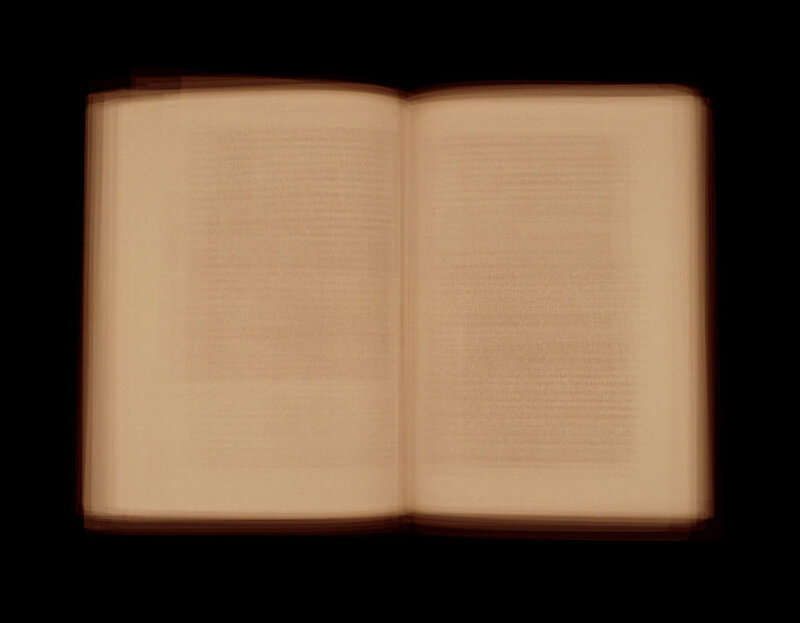 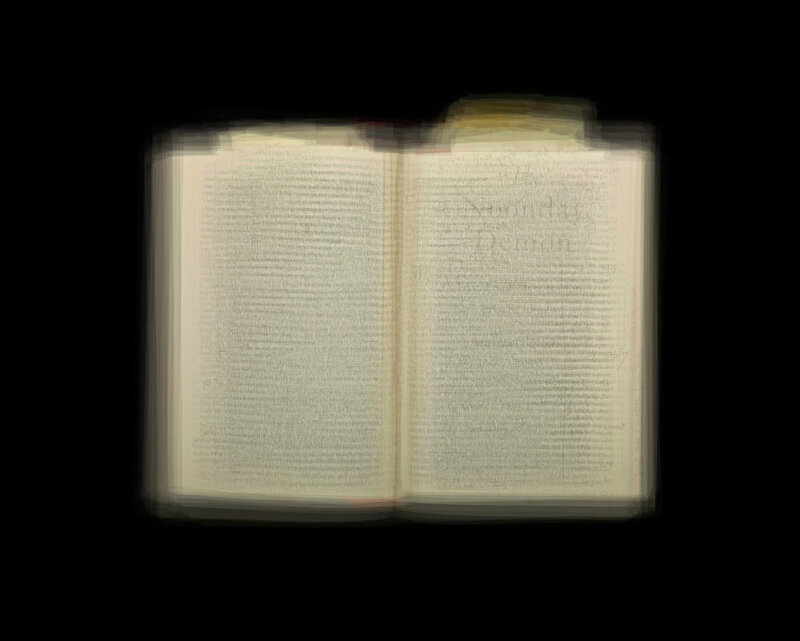 Keyes successfully links the images to memory and knowledge of objects—it is stacked, blurred and softened. 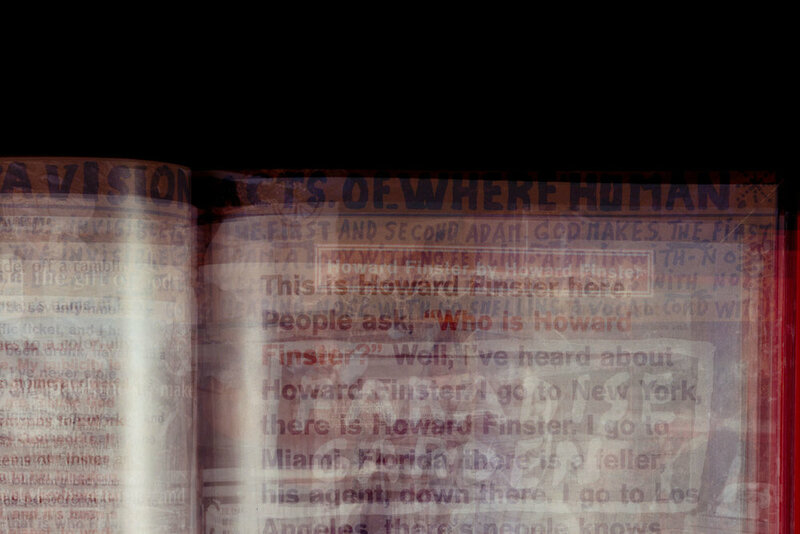 Information illuminates through the two-dimensional space of his photographs, but there remains an appropriate amount of space for ambiguity and conjecture.